In my 10 years of practicing as a hypnotherapist, I have found hypnotherapy to be a very effective support for ending a cocaine addiction. Many of my clients make significant positive shifts within 3 sessions. Many of my clients have tried different forms of help for their cocaine abuse, Including detox and rehab. 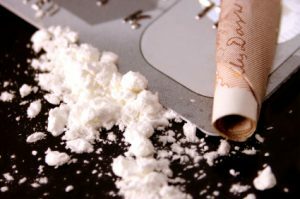 As a former user, now with over 20 years of complete abstinence, I consider myself very well placed to help those who want to quit their cocaine habit. If you are concerned about your use of cocaine, then I can probably help. Reducing the frequency of cravings to use Cocaine and, managing cravings when they do arise. Skillful management of triggers situations. Finding stability during any withdrawal symptoms that may arise immediately after stopping. Building confidence and self-esteem after cocaine use has ended. Resolving any underlying issues that may be fueling cocaine use. Developing an awareness of how your habits function. Simple but effective self-help tools to help you take charge of your progress. Creating short and long term goals and action plans for staying free of the cocaine habit. Cocaine works by stimulating the central nervous system, specifically the reward center in the brain. When Cocaine is used consistently over time, the structure of the brain’s reward center changes so that anxiety, depression, and irritation, are often experienced upon withdrawal. More Cocaine is then used in increasing quantities to try and repeat the same high and to manage the withdrawal symptoms. Can you imagine how much more fulfilling and rewarding your life could be without cocaine? What would you do with your life if cocaine was no longer part of it? If you are seeking Hypnotherapy for Cocaine Addiction then please feel free to contact me to arrange an initial consultation.